How often have theatre lovers been labeled as losers, nerds, and outcasts? We have been pushed to the side as the entertainment industry’s forgotten step-sibling and our achievements have not received the recognition they so rightfully deserve. Popular culture has gotten a huge slap in the face by the theatre community when Lin-Manuel Miranda’s Hamilton was introduced to the public. Celebrities, politicians, and millions of others have flocked to the Richard Rogers Theatre to witness a show that has brought life and originality back to Broadway. A ticket to Hamilton has become so rare that actually seeing the show is the ultimate bragging right. 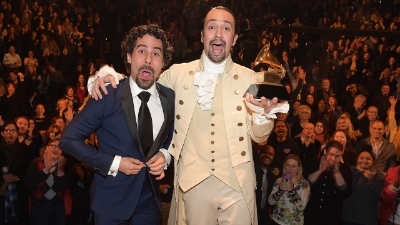 Hamilton, now a Grammy-winning production, has made its way into everyday conversation and has been seen by millions after a live-telecast performance. Broadway has officially invaded America’s living room and it is staying there. NBC and most recently FOX have started the trend of making the excitement of live theatre accessible to people at home and have brought an air of curiosity and intrigue to people who may not have really understand what theatre is about. These live telecastshave brought amazing exposure to our little world and for that, I am grateful. Because sharing this art and sharing this community can hopefully inspire the next groundbreaking storytellers of our time. Let’s invite those who once called us outsiders and show them a community of love, acceptance, and beautiful art. The theatre community is slowly but surely becoming a staple in pop culture and it will only grow from here.